Amerispa Château-Bromont offers you moments of complete relaxation thanks to the benefits of the thermal experience as well as a full range of care. With a Hamman (steam room), steam bath, hydromassage stations, massage therapy & beauty treatments, manicures, pedicures and much more, let yourself be pampered, be it with friends or with your partner. Treat your loved ones by offering them our gift certificates. 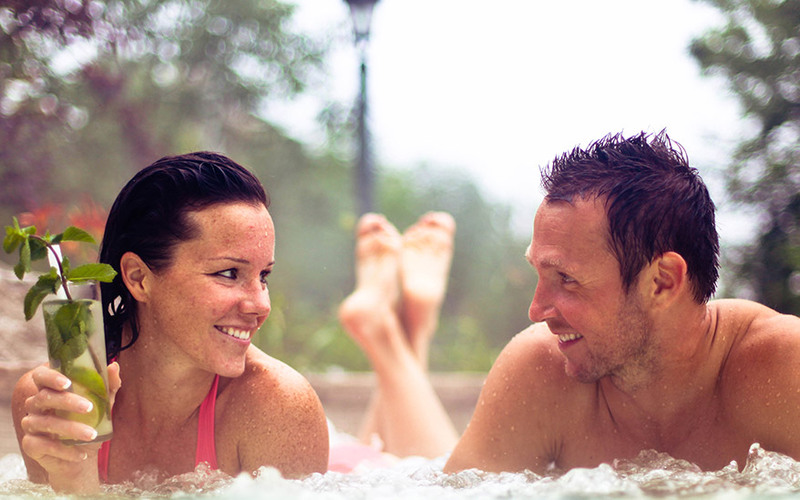 For prolonged enjoyment, ask us about our thermal experience memberships.